One of Spain’s best known cheeses, made from ewe’s milk. It originated in La Mancha but is now made all over the country. 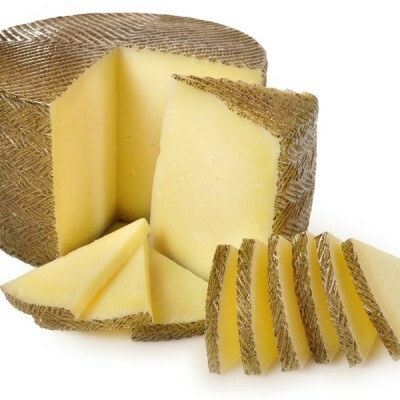 It has a deep yellow rind and creamy white interior. It’s firm to the touch with a buttery nutty taste that’s slightly sour. It’s a good grating cheese that melts well. Matured cheese made of pasteurized Manchegas ewes milk with PDO certificate.